Then he didn't mention a position, I couldn't understand why he needed me there so much... There were a lot of small factors that were keeping me from accepting the offer immediately, mostly connected with my habits and expectations of conditions based on my previous workplaces. And I couldn't get our conversation out of my head. It seemed too fancy and unrealistic. I couldn't believe that he really meant what he told me. Moreover, something I was waiting for so long finally seemed to come true. I was accepted for a 1-year internship where all the expenses, including the travel, were covered. Still can't believe it, but I REFUSED the irresistible offer of my dreams to go to Italy and work in one of sub-companies of the Benetton Group. I haven't regretted for it ever since. In reality, this man has an extraordinary ability of seeing people through and attracting like-minded people, getting them together. The growth and continuing success of our company is substantially stipulated by the team that was formed and is being lead by a truly great leader. Do you know how it feels when your every waking hour is filled with thoughts connected with work? When you treat your job as if it was your own business and can beat anybody that would try to make any harm or offend it? Sense company failures as if they were your personal, or get extremely excited and happy for the achievements as if that were personally yours? For more than a year we've been developing this completely new engine and months of sleepless nights of certain people resulted to this completely new PanARMENIAN.Net that was launched on its 10th anniversary. It's still in beta and will be continuously developed to strive for our mission to become the pan-Armenian common information field. We acknowledge that there are still some flaws and it's not perfect yet ('beta' is a good excuse ;), however we try to make it so. We work with firm goals, by fair means and are honest to both ourselves and our stakeholders. I would also describe hour working style as detail-oriented and very upright. We don't go for short-term benefits and trade quick results for long-time greater achievements. It's founded on very professional bases and with a great sense of liability for our country's deserved positive image and civil responsibility. However it's also very cool in terms of being creative and witty, when proper and needed. Truly amazing individuals form the key staff; people who are multi-talented, completing each other and devoted to the idea. 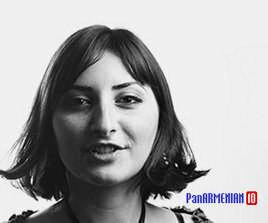 Moreover, PanARMENIAN has got a big army of supporters and friends that we are proud of. 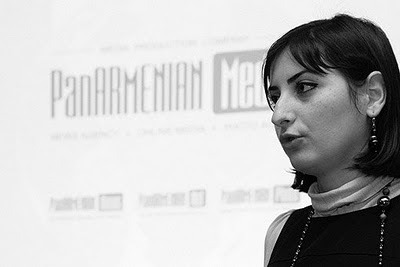 No matter the pageviews, visits, pageranks and other rankings, I reckon that we don't have competitors, but have colleagues together with whom we are working towards developing the media industry in Armenia and presenting the proper image of our country for the world community. Disclaimer: Despite my position in the company and considering the fact that this is my personal blog, opinions expressed here do not necessarily reflect the official position of the company or the editorial.